I grew up in Whitley Bay a small coastal town adjacent to Newcastle in the north-east. If a black guy walked down the road, traffic would slow, it was that rare and I'm not kidding. The only Asians within the community literally ran the local Indian restaurant. During my service in the RAF in five years I never met a fellow serving officer who was Asian, and only on one posting was I privileged to meet the only black guy during my entire service. When I joined the RSPCA, little did I know that my first posting would be to Peckham and Brixton in south-east London. The Brixton riots were a very recent memory then. I was temporarily billeted with my sister-in-law in Streatham, and on the Sunday before my first day of duty, I decided to go have a look at my new area. I drove up the A23 in my RSPCA van, through Streatham and into the heart of Brixton. Just before I reached the famous bridge, I turned right into a road that I now know very well as Coldharbour Lane. It wasn't a road though, it was an entirely different world. Market stalls crowded into a small space spilling into the road, overflowing with vegetables and other goods for sale which I simply did not recognise. The place was bustling, colourful, vibrant and loud. It sounds ridiculous now, but I was almost overwhelmed. There was virtually not a white face to be seen. I felt intimidated, as if I'd landed on a different planet at a different time. I had no points of reference in my life whatsoever to understand either the ethnic or religious diversity that I just landed in. To my immortal shame. I distinctly remember being scared, and actually reached out and locked both doors from the inside. Within a matter of weeks I had established my relationship with the local police. In the early days I distinctly remember that I considered both Peckham and Brixton police stations as a literal sanctuary. The difference between the racial profile inside them versus the community they were serving was stark by which of course I mean 99.9% of the police were white European. 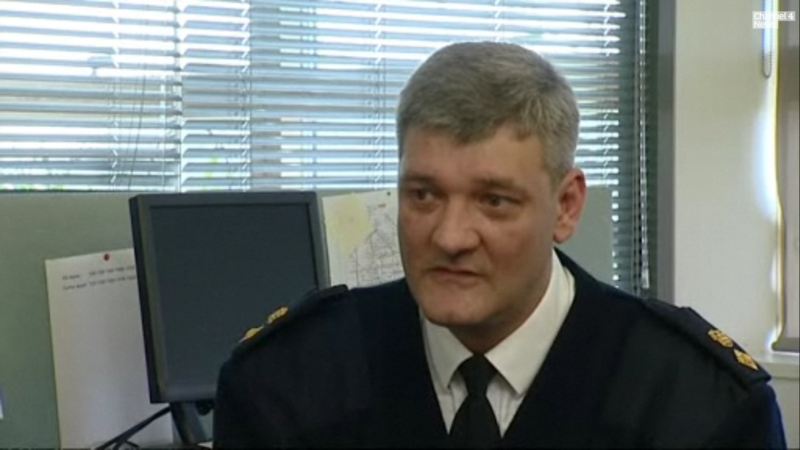 As a serving RSPCA inspector my job was to investigate complaints and allegations of cruelty. A lot of people think that being an RSPCA officer is all about the animals but the reality is that you spend 90% of your time dealing with people and only 10% of the time dealing with animals. If you cannot build a rapport with the person opening the front door, you cannot hope to effect or influence the quality-of-life that an animal is experiencing. Over the years, (and it did take years) I learned the hard way the cultural, religious and ethnic differences between my background and the community that I was serving. There are so many examples, but for the purposes of illustration two stand out. As an investigator I became a keen observer of body language in order to gauge whether or not I was being told the truth. So I'm investigating a dog beating allegation and the door is answered by a gentleman of Nigerian descent. At some point during our interaction I put the question to him " have you beaten your dog"? He immediately avoided eye contact and lowered his head towards the ground and said "No". It was quite clear by everything I knew, but mostly by my white middle-class Christian upbringing, that he was lying to me. But here's the rub. He wasn't lying, he was being true to his upbringing and roots and when a Nigerian national is confronted by an individual in authority, much less uniform, they will automatically become deferential, they will lower their head and they will avoid eye contact. I rapidly recognised that what I thought I knew about people and interpersonal skills, was just not enough and I had to start to relearn. And now for the second story. A neighbour had complained in the light of an RSPCA TV advert encouraging responsible use of fireworks that their Asian neighbours were setting fireworks off too early, which was causing their animals great distress. There were other issues but these are not relevant to this. I knocked on the door, which was answered by a gentleman. I introduced myself and told them that we had received a complaint about the irresponsible use of fireworks. I well remember that he simply looked me in the eye and said "it's Diwali". Like a complete idiot, I said "what's the Diwali?" Looking back I can only, with some horror, imagine what must've been going through this chap's mind. One of the most fundamental and recognisable religious festivals in our world was not even known to me. I knock on the door. It is answered and I immediately recognise that the occupant is of Asian descent - " Good morning sir, Happy Diwali. I'm here to take a look at your dog." How much better is that on every conceivable level. And it was only pure lack of understanding and experience that ever took me down a different road. These are only a couple of examples , but very similar ones exist for nearly every individual from different religious and ethnic backgrounds. It took me years and years to learn the most basic issues surrounding diversity, years that could have been avoided, and a job that could have been done better during those years if only someone had sat me down and taught me about diversity issues. To this day I know there are RSPCA officers who will attempt to insist that a dog should not live outside 24/7. Not unreasonable you might think unless you're talking to a person of West Indian descent, where dogs are forbidden from coming into the home. If you know that, you approach the complaint from a completely different perspective, and rightly so. When Diverse Ethics was contracted by the RSPCA to talk to the latest crop of trainee officers, I was thrilled, and I regretted deeply that such advice and information had not been available to me during my formative years of service. If it had, I would have been a more effective officer, a more understanding man and a better human being. Whatever your organisation is, whatever service you provide, unless you and your team can appreciate and relate directly to a potentially bewildering range of diverse religious, ethnic and social backgrounds, then you will not be as successful in your endeavour as you potentially could be.